DJI Osmo Mobile or Zhiyun Smooth Q: Which Should You Be Spending On? Is it possible to play photographer without expensive gadgetry and a whole lot of training? Yes. Is it easy? Well it wasn’t – until gimbal-based camera stabilizers arrived on the scene. Soon enough, shooting shake-free footage on the go wasn’t an uphill task anymore. And today, we have gimbal stabilizers for smartphones as well, placing expert videography within practically everyone’s reach. I’ll be introducing you to two of these stabilizers in this post – the hugely popular DJI Osmo Mobile (shop it here), and its younger competitor, the Zhiyun Smooth Q (shop it here). Let’s meet our two contestants in this battle of the gimbals ! Both the DJI Osmo Mobile and the Zhiyun Smooth Q have 3-axis stabilization gimbals. They essentially turn your mobile device into a stable camera that can shoot smooth, shake-free photos and videos on the go. It’s been more than a year since the DJI Osmo Mobile made its first appearance, and the pro-quality footage it lets you shoot, makes it one of the most coveted smartphone gimbals out there. 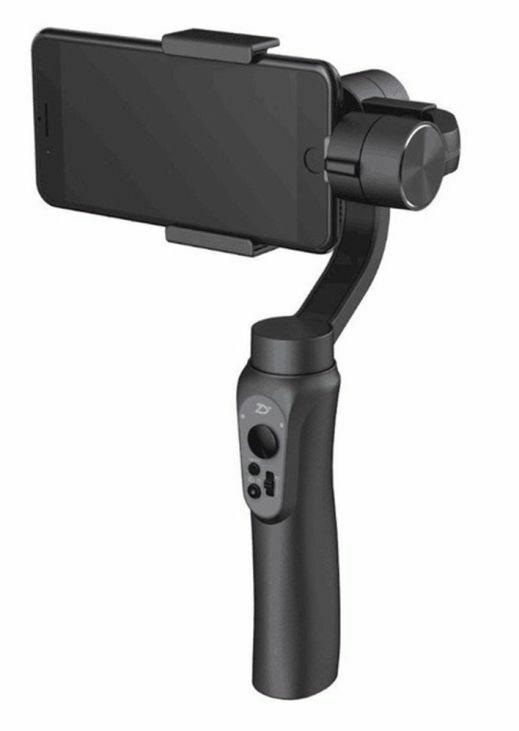 Recently, though, Zhiyun has come up with the Smooth Q, a smartphone stabilizer that costs less than half the price of the Osmo Mobile while promising a comparable level of stability and footage quality. Let’s go ahead and compare the two. The DJI Osmo Mobile sports a magnesium alloy build, and offers a stable grip thanks to its molded ergonomic form and rubberized finish. The Zhiyun Smooth Q brands itself as an ultra-light piece of gear for travelling photographers. This basically translates to a plastic body weighing in at about 440g (as compared to the Osmo Mobile’s 487g). Personally, I don’t think a little extra weight matters here. Plus, I’m not a big fan of the Smooth Q’s shape. I found the plastic a little slippery, and it didn’t feel very stable in my hand, especially while moving my thumb over to operate the joystick. Before I go into the details of each stabilizer’s smartphone mount, I should tell you that the Zhiyun Smooth Q expressly states that it supports larger handsets. Weight-wise, it can take anywhere between 75g and 220g. Now, the Osmo Mobile doesn’t state any handset sizes or weights, but so far I’ve been able to use plus sized handsets on it without any noticeable issues. Now that we have that out of the way, let’s look at the handset mounts themselves. In the Osmo Mobile, the mount has a telescoping design, so you just pry its edges slightly, slide your phone in, and let the mount tighten itself around the device. The Smooth Q has a spring-based mount, which means that its two sides need to be pulled apart, and then allowed to drop back into place around your mobile device. Ironically, Zhiyun treats this spring mount as one of the USPs of the Smooth Q. I wouldn’t vote for it, though. The reason being that while shooting on the move, I’d like to be able to mount my phone using one hand, which the Osmo Mobile’s mount lets me do (with some practice, I’ll admit). To mount my phone onto the Smooth Q, I had to use both hands, and more importantly, had to pause what I was doing for a few seconds to get my phone all set up. content on your Instagram account or shooting selfie-style videos for your Vlogs. The Osmo Mobile doesn’t have this feature, but it does offer 4 different fitting options (standard, underslung, portrait, and flashlight) to make up for it. This is probably what a lot of you will base your final decision on. Between the DJI Osmo Mobile and the Zhiyun Smooth Q, which smartphone gimbal stabilizer performs better? Well, for starters, I found the Osmo Mobile to be much snappier than the Smooth Q. By ‘snappier’ I mean that it responded to subject movements and turns much quicker than the Smooth Q did. Both products have auto tracking functions, which means that you can set them to focus on a subject, and they’ll move your smartphone around to follow the subject. Now, there are no figures or specifications that can rate the tracking quality of both stabilizers, so I’ll give you the lowdown based on my experience with both. The Osmo Mobile seemed programmed to follow the selected subject, while the Smooth Q seemed more inclined towards following ‘movement’ itself. Plus, the Osmo Mobile was quicker to respond to changes in the subject’s location than the Smooth Q. As a result, the latter struggled to keep the subject in the frame at times. The Osmo Mobile also created smoother footage while zooming in and out. The Smooth Q’s zoomed footage was a little jumpy. This is in line with my original comment about the Osmo Mobile being snappier than the Smooth Q. What I did like about the latter, though, were its wider angles of rotation. The Smooth Q does a complete 360 in the horizontal plane, and rotates significantly more than the Osmo Mobile in the vertical plane as well. The Osmo Mobile has to be manually turned around to compensate for its limited rotation angles. This is where the Zhiyun Smooth Q stops the DJI Osmo Mobile in its tracks. It has a formidable 26650mAh battery, against which the Osmo Mobile’s 980mAh (shop it here) counterpart doesn’t stand a chance! As a result, while you can film for 4-5 hours with the Osmo Mobile, the Smooth Q will last you through a 12-hour shoot. Not only that, Zhiyun has actually added a USB port to the Smooth Q which you can use to charge other devices! However, you should base your decision on the battery life only if you’ll be using your stabilizer for extended shoots. For basic 1-2 hour shoots, the Osmo Mobile will serve you just fine. On the other hand if you are into Time-Lapse shooting then you need more power than just the 70-80 minutes provided by the Osmo Battery. The cool thing is that DJI has a lot of additional accessory like a battery extender (shop it here) and an external cable (shop it here) which allows you to use your Phantom 3 & 4 drone batteries which have way more power than the small Osmo batteries and plug it to your device. No you can also shoot 4-5 hours with this drone battery (shop it here). I touched upon the Osmo Mobile’s ergonomic design in the look/feel section. Its controls are also way easier to use than the Smooth Q’s. The Osmo Mobile’s joystick felt much more intuitive and responsive than the Smooth Q’s, though this could be a matter of personal preference. What I find objectively good about the Osmo Mobile is its trigger button. Located at the back of the shaft, opposite the joystick, this button can be tapped once to lock your smartphone in its current position, and twice to bring it back to the square orientation. The Smooth Q offers these functions through modes that you can use through the ZY Play app. It does have a dedicated zoom button, though, that some users may find convenient. In terms of compatibility with accessories, I found the Smooth Q to be a little more versatile than the Osmo Mobile. For one thing, it has a universal mounting port at the bottom, so you can pair it with your existing tripod to place it on the ground. The Osmo Mobile’s mounting port is on the side, which doesn’t make much sense unless you’re attaching it to your bike by means of an extension arm. For placing it on the ground, you’ll need a dedicated Osmo Mobile stand. The Osmo Mobile pairs with your smartphone through the DJI GO app, and the Smooth Q does the same through the ZY Play app. Both apps have the same set of basic controls, and both let you shoot motion timelapses and long exposure shots. But the DJI GO has some additional settings that can help you shoot better quality footage. For instance, you can choose between the ‘Walk’ and ‘Sport’ modes to give your video your preferred speed. Plus, buying an Osmo Mobile gives you full access to the Filmic Pro app (shop it here), which can add a professional finish to your photos and videos – check my review on Filmic Pro app in my free eBook “Essential Video Gear List by Thomas Vitali“. For an alternative just check for Litch App which gives a perfect control over your DJI Osmo (shop it here). If you’ve been reading all this and thinking that the Osmo Mobile is the obvious choice, the price difference between these two stabilizers will probably make you think again. The Osmo Mobile is priced at $249, while the Zhiyun Smooth Q is available for just $139! 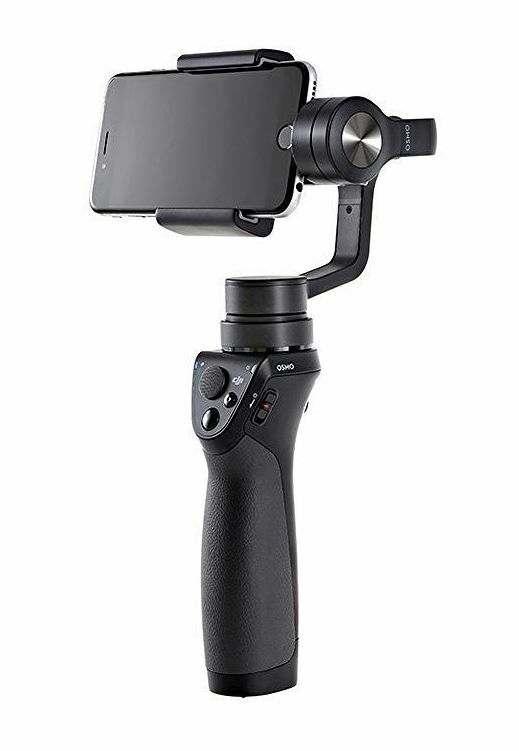 So while I do think that the Osmo Mobile offers a much better user experience than the Smooth Q, I will also admit that the latter is a great option for buyers looking for their first smartphone gimbal stabilizer, or buyers on a tight budget. So here’s hoping that this post leaves you a little better informed about the nitty-gritties of the DJI Osmo Mobile and the Zhiyun Smooth Q. As with most gear comparisons, there is no absolute winner between the two. But if you know what you want from your new smartphone stabilizer, making a decision shouldn’t be too difficult.